The registration fee covers the costs of processing the registration and will not be reimbursed if participation is cancelled. A late registration may be considerd, if there are still places available in the class. Please contact us by E-Mail. Applications will be processed in order of arrival. Please send the application form per e-mail to info@imm.eu.com or use online application form (see below). Withdrawal and Granting of rights see below. Notice: Please fill in the fields marked with *. The Registration fee ist non-refundable. If written notification of cansellation is submitted 21 days before the starts of the course, the remaining amount (participation fee) will be reimbursed. All Transaction charges will be deducted. During the period 20 days to 7 days Prior to the start of the course 50% will be refunded. If cancellation occurs after the deadline above, the participation fees will only be reimbursed in proven cases of force majeure (e.g. in particular if the participant is ill or has an accident). In such cases, the cancellation shall be notified to the Insitute at the latest 2 days before the start of the course. If candellation oddurs after that, even if the case of force majeure the full participation fee wll be retained. 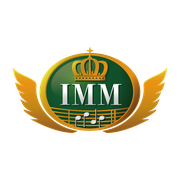 All Events of the Munich International Music Academy can be recorded by the Institute for Music Munich. The Institut for Music Munich reserves the Right to take Pictures at the Munich International Music Academy. These Pictures can be used for Promotion purposes by the Institut for Music Munich. If a documentary is made of the Munich International Music Academy, all participants agree to take part in this documentary and to Transfer all richts concerning this production to the Institute for Music Munich. Paricipants have no Claim to additional reimbursement. DATE: It will be announced in autumn 2019.